Health + Lifestyle Does Pilates help lower back pain? There is no doubt that Pilates helps with many types of back pain – so it does indeed help lower back pain too. Aside from of course having taught 100s of people with back issues (and seeing how they improve with doing Pilates), there is medical evidence suggesting that 90% of all back pain is caused by musculoskeletal issues, which means it’s caused by damage to ligaments, joints and muscles around the spine. The good news is that such issues can be fixed; they are NOT permanent, but it’s up to you to not ignore them. After all, accepting there is an issue is always the first step towards finding the right cure. What did the medical experts in the report published in The Lancet advice as the best back pain cure? Three things: Pilates, swimming and some types of yoga. I couldn’t agree more. In my opinion, you take up Pilates first as this will give you all the tools to learn how to engage and strengthen your core, which is one of the key reasons why people suffer from back pain. Pilates also helps to improve flexibility and strength in the right muscle groups, including around the gluteals, hamstrings and deep hip and spine stabilisers. Swimming is one of the safest ways to strengthen the body and it provides a cardio workout at the same time. If you can find the time to include a swim session into your weekly routine, there is no doubt your body will benefit. Yoga – I’m a fan of yoga, but I have to tell you I’m a bit dubious of recommending it to people suffering from severe back pain as yoga has little to no focus on core strength, but a huge emphasis on flexibility. 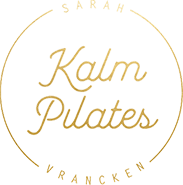 It will work well if the only issue you have is tight muscles, but if your back pain is also caused by a lack of core strength – and in most cases it is – then I would start with Pilates first. 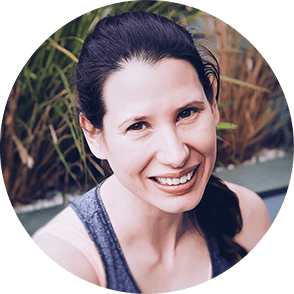 To introduce back pain sufferers to the benefits of Pilates, I run a regular 7 Day Pilates Back Care Challenge, which has been carefully put together to help you understand how to engage your core and provide you with 3 x Pilates workouts that will help to reduce your back pain over time. If you ever have gone to a physio with your back issues, then you will recognise some of the exercises we do in Pilates as they are very similar. However, we focus on doing exercises regularly and with perfect technique – and that is the key to progress and success. The best thing to do is to try it out!